Over this past weekend the news has been inundated with the tragic shooting that took place in Charleston, SC. It’s been interesting to watch the varied responses, not necessarily to the shooting itself, but to the responses toward the people directly impacted by this unthinkable evil perpetrated against their loved ones and thus them. The love and forgiveness that has been on display by the victim’s families and the church has been, shall I say, other-worldly. Some have said that their response of forgiveness is unreasonable. It might surprise some that I agree, it is unreasonable to forgive such an evil. Which brings me to the point I want to make. What is reasonable about forgiving someone who has damaged you? Taken something (or more importantly, someone) from you? There’s nothing humanly reasonable about forgiving someone who has placed themselves in opposition to you and declared you to be their enemy. If you listen to the news or read news articles and the comments sections on social media with regard to the Charleston shootings you will quickly find that those who have no allegiance to Christ have all sorts of explanations for the radical and unreasonable love and forgiveness being displayed as a result of this tragedy. Some think it’s phony, some dismiss it as ridiculous, some insinuate that it’s disingenuous, and some just respond that the people directly impacted and extending forgiveness are simply better people than they are. The reality is that the love and forgiveness on display in Charleston is a reflection of the love and forgiveness that God offers to all of us through Jesus Christ. 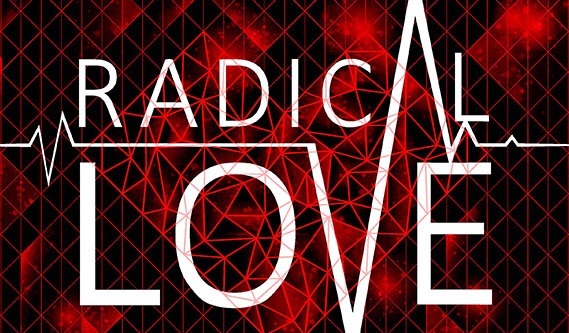 God’s love is not a reasonable love, but a radical and redemptive love. It’s radical because we don’t deserve it just like the assassin in the Charleston Church shooting doesn’t deserve the love and forgiveness of the families victimized. It’s redemptive because it changes us and our standing before God. You see, every single one of us has set ourselves up as the enemies of God in that we have sinned against God. God doesn’t owe us His love. He doesn’t owe us His forgiveness. We, like the shooter in Charleston, don’t deserve love and forgiveness. On the contrary, what we deserve is the same thing the perpetrator in this tragedy deserves…death. “But God so loved the world that He gave his only begotten Son that whoever believes in Him will not perish (die) but have everlasting life.” (John 3:16) This is rich and freeing grace. This is what sets genuine Christianity apart from every other religious and philosophical system in the world. We don’t earn God’s love and forgiveness, it’s freely given by God and received through faith by those who are willing to humble themselves, admit their sin against God, and by faith receive God’s free gift of salvation through faith in Christ who bore their shame and penalty and has been raised from the dead, conquering sin and death. What the world is witnessing in the love and forgiveness displayed through the believers in Charleston towards this one filled with hatred is a demonstration of the gospel of Jesus Christ to the world that is watching. They are, as Scripture says, filling up what is lacking in the sufferings of Jesus Christ, namely a modern day demonstration of that suffering and the grace, love, and forgiveness that accompanies it. If we in the Church would simply come to the realization that this is what the world needs to see in us and not just hear from us then we might see a great increase of people coming to a saving knowledge of Christ. This is faith with feet. Yes, many will dismiss it for various reasons, but some will certainly embrace it because the Spirit of God will be at work in the midst of it. Think about it.